Whiteboard Selling is now a part of Corporate Visions. Effective Friday 31st August 2102, Corporate Visions now owns Whiteboard Selling. Whiteboard Selling co-founders, Corey Sommers and David Jenkins and their affiliate partners have developed over 500 whiteboards over the past 5 years for more than 50 companies. The whiteboard stories are used to help salespeople own their value creation message and to engage buyers in conversation, without using PowerPoint slides. 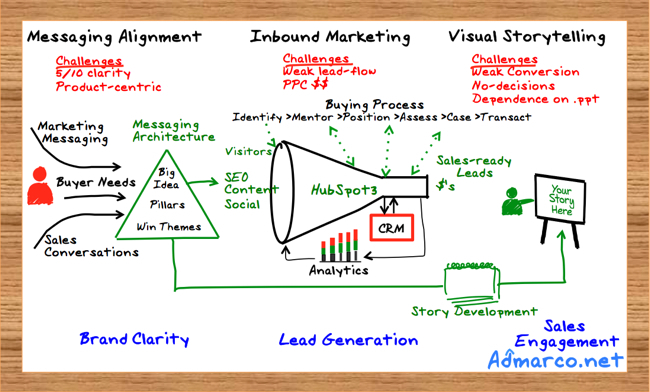 The strength in the Whiteboard Selling approach is in capturing a companies value proposition in a visual story. 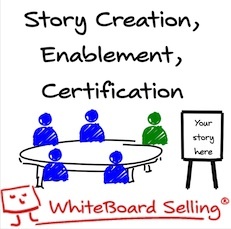 Whiteboard Selling creates a visual story and synchronized script that salespeople can quickly learn to tell in a 1/2 day workshop, so that they are more confident in front of customers and their conversations are more consistent across the company. A well constructed Whiteboard story will enable salespeople to engage buyers around their issues to answer that question and that makes the conversation compelling for the buyer. This acquisition signals a tipping point in the adoption of visual storytelling in sales and a recognition that the old ways of selling, led by questioning technique that looked for pain, coupled with PowerPoint presentations that laid out the solution to the buyers problem are over. The integration of Corporate Visions messaging process and the Whiteboard Selling visual tools is an ideal fit in a new acquisition for Corporate Visions. Take a look at Selling Power's Top 10 list of sales training companies in 2011 and drill down on their approaches. About half are rooted in traditional question-based consultative selling which I contend is obsolete, of the other half, some are getting started in storytelling, but very few have the clarity of Corporate Visions, with their focus on messaging and conversations to equip salespeople to disrupt the status-quo, who now have the visual tools to effectively engage buyers. Anyone in selling today will admit that the selling process has given over to the facilitation of a buying process. This means that most B2B salespeople are unwilling spectators in a buying process which has disintermediated all but the salespeople who are able to connect with buyers, engage in conversation around their issues and develop trust and influence as consultants first and salespeople second. But what specifically are the 13% of successful producers in the Sales Benchmark Index report doing that is different from the core group? Research shows that these salespeople have highly evolved interpersonal communication skills and emotional intelligence and are using stories to engage buyers… either because they are story-telling naturals or because they have learned and mastered the techniques. This is the essence of the Corporate Visions approach and combining visual storytelling tools from Whiteboard Selling gives customers of both companies a complete methodology to help improve the performance of the core group. Naturally nothing happens without disciplined practice, coaching and feedback from sales management teams, and that is also part of the methodology. 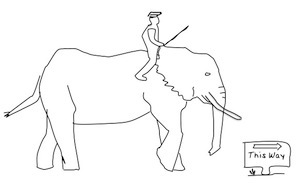 Whiteboarding is emerging as a mainstream enablement tool in B2B technology companies that actually contributes real value during the sales cycle. Creating clarity in your value proposition and building it into a story that everyone can tell is an excellent initial win. Most companies confess that their messaging is somewhere between 2-3/5 for clarity when we start the process. Message Ownership - in 1/2 a day Whiteboardselling training Symposium salespeople either see or do the whiteboard up to 9 times using an active learning method and on the very next day they can give the whiteboard, - they know it. Consistency and confidence in telling the story are the knock-on benefits for individuals and this is important in creating differentiation in the mind of the buyer - when the competition are saying the same things you are. What is under appreciated about whiteboarding is that sales-people will find it very difficult get up and whiteboard on an ad-hoc basis....unless they have already decided what they want to say and practiced what they are going to draw. 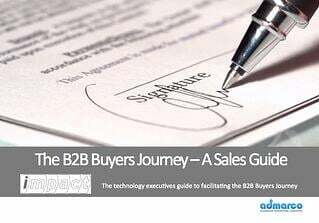 A pre-requisite for salespeople to whiteboard effectively is a visual story that centers around what the buyer is trying to achieve, that salespeople can use to engage the buyer in conversation. My observations in riding shotgun on many sales-calls as a sales trainer are that salespeople can often get a meeting, but when they are face-face with senior executives, often don't know how to engage in a business discussion and thus revert to where they are more comfortable - discussing their products, and the meeting terminates shortly thereafter. A whiteboard session is a conversation aid to help you engage the buyer, - not a presentation....if you feel yourself going into presentation mode, stop, ask a question and get the buyer talking. Learn the script and practice the opening, if it is well constructed, it will use a challenging opening and positioning statements to engage the buyer immediately. No "marketing-speak" or gobbledybook when you whiteboard. For example, instead of the word "redefine" use "change"; instead of "revolutionary use "different" ...people don't feel like they are being sold when you use plain English. The goal of the whiteboarding session is to engage the buyer in conversation and have your capabilities unfold naturally in conversation - not to demonstrate your prowess as an artist or orator. Learn the whiteboard story and practice it in private and when you are ready, practice with your peers and your managers until you own it, ask them for feedback to improve technique, (it will take 20 iterations until you own it). Get the buyer's issues out in red on the whiteboard and drill down on them, quantify them and figure out together if they are worth solving and how to solve them. You don’t have to start the whiteboard at the start, you don't have to strictly adhere to the build sequence and you don’t have to finish the whiteboard. You only need to engage the buyer around one or two issues to get a commitment to advance the sale to next steps. Carry a BIC 4 color pen and your own set of whiteboard markers with you, so that you can tell your story on any surface or in case the markers in the meeting room are dry or missing. Follow up by sending a meeting summary that embeds the completed whiteboard visual confection in the letter outlining their issues and how your capabilities can solve their problems - and agreed next steps. 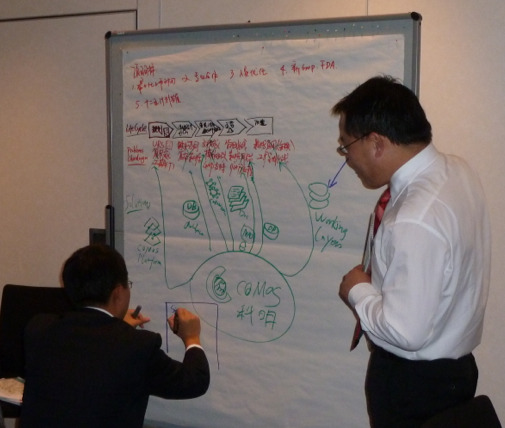 Recently I had the pleasure of leading a global Whiteboard Selling Enablement Symposium for Siemens in Cologne Germany. Since working as an affiliate of Whiteboard Selling, this is the first training program I have led, which included Chinese native speakers. I have led product sales training events for Chinese and Korean native language speakers when at Sun Microsystems. The outcome of the Whiteboard Symposium in Cologne could not have been more different than the outcome from one of my former Sun training days. Despite my best efforts to speak slowly and clearly when training for Sun and a lot of effort in creating material-in English, I expect that less than 30% of my material was understood. I recall working very hard on rapport and asking questions to check comprehension and was often greeted by blank looks and silence. The audience would sit passively, attentive, trying to understand my accent and decode the slides....they were created in Framemaker on a Sun Workstation as in those days, former Sun CEO and co-founder Scott McNeally banned the use of Microsoft products....there were images (clip-art) and a lot of bullets (I cringe when I think about it). Lack of comprehension was not the fault of my audience, it was mine as the trainer. 20 years ago I was a missionary in getting our resellers to start selling Sun Servers. I did not speak the language, and although we had cultural sensitivity training, on my own assessment, I did a poor job of communicating the value of the Sun Server offerings for banks. 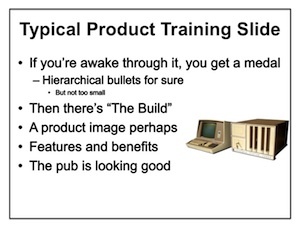 This is still how a large percentage of product training is done, although it is probably translated and presented in PowerPoint by a native speaker today. The audience sits passively through a product presentation, answers a quiz, leaves with a brochure and the URL of the sales portal where the material including .pdf's and presentations reside. At the Siemens event I was asked if the during the role-play workshop, team members could deliver the whiteboard story in their native language and the answer was an emphatic yes. Salespeople formed groups by native language when the role-playing began. As the facilitator, I did not have to understand the native language to judge comprehension because I could see the whiteboard story develop and observe the interaction among the team members. During the workshop each sales person either drew and told the story or watched and listened to the whiteboard develop up to 10 times. The outcome of the training was that salespeople could engage clients and use a whiteboard to tell their story the next day, although it may not have been perfect, their comprehension and mastery of the story was such that they knew it and could do it. Doing the rounds of the role-play groups I heard presentations in Swedish, French, German, Chinese, Spanish, Portuguese and English. It was interesting to observe the interaction between buyer and seller in the role-plays and the way different ethnic groups presented. Some more formal and reserved and others lively, interactive and funny...others completely departing from the whiteboard story design to create their own version of the story. 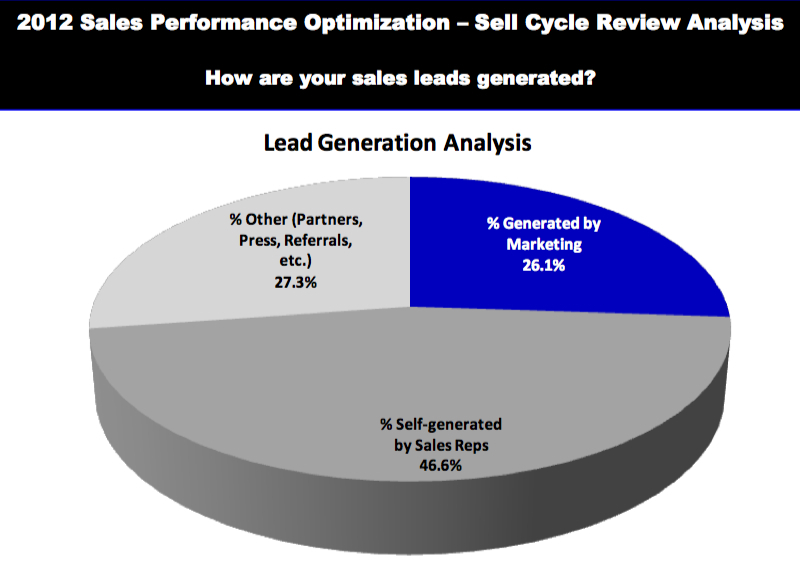 Slow ramp-time for new-hire sales people is the #1 problem for sales managers in onboarding. Similarly, new product launches seldom deliver the sell-through results marketing planners anticipate. Using traditional product training approaches it takes months longer than most sales managers would like before salespeople are confident enough to engage senior executives. What would happen to your sales results if your sales team learned your top 3 product/service whiteboard stories at new hire? Net-App new hires learn and are tested on 3 whiteboards before they go on their first sales call. Would it be useful if when new hires make their first call they are confident in telling your story, know what the likely objections might be and how to handle them and know what questions to ask in discovering the client issues? 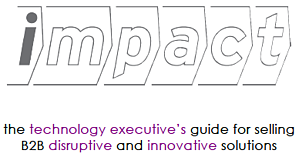 Would it help if the core group of salespeople could differentiate the value in using your products/services and could engage senior executives in conversation around their issues and have your capabilities unfold naturally in that conversation? If you are interested in Whiteboarding, you are invited to join a new LinkedIn group set up to promote and share Whiteboarding best practices, tips and to advance the art of whiteboarding in sales. Whiteboard Selling Best Practices is an open group created to share and disseminate Whiteboarding tips, ideas and best practices. WhiteboardSelling alumni and sales, marketing and enablement professionals with an interest in using whiteboarding techniques for in-person and remote whiteboarding are most welcome. The goal of this group is advance the art of whiteboarding so as to improve engagement, discovery and differentiation through visual storytelling. Click on the whiteboard to go to the group. Two weeks ago at the HubSpot User Group Event #HUGS11, I saw a great idea in action that I thought could be of interest to readers of this blog....it's IdeaPaint. I've been using the same whiteboard in my home office for the past 15 years and I was happy with it until the HubSpot event. Now having seen IdeaPaint in action, my whiteboard looks small and dull; flat surfaces in offices I visit loom as a potential surfaces for visual storytelling. IdeaPaint is a urethane-based paint that comes in a 50 Sq. ft. kit, with roller and requires only one coat. It's the invention of two young Boston entrepreneurs who conceived the idea of creating paint that could cover any smooth surface and turn it into a surface for dry erase markers. Think of any smooth surface, curved or flat; table top, bench, door; literally anything can become a whiteboard. Use IdeaPaint to help you make your work space work, whether you are in sales, marketing or a student interested in using a whiteboard to capture ideas and write down your thoughts. You can buy it at their online store, but before placing your order, check out the installation instructions, as it won't work well on walls that are not smooth and flat, i.e. with a rendered plaster surface, (like in my home office). Readers of this blog collectively will have sat through tens, if not hundreds of thousands of hours of product training in their sales and marketing careers.